The natural shades of travertine ranges from soft ivory and pale creamy white to rich golden shades of walnut and honey, silvery greens, rustic reds, and deep mocha coffee shades. Since travertine is a natural stone and the colors depend on local mineral and organic materials, the tiles are never a single solid color, although some travertine varieties are more consistent in color. 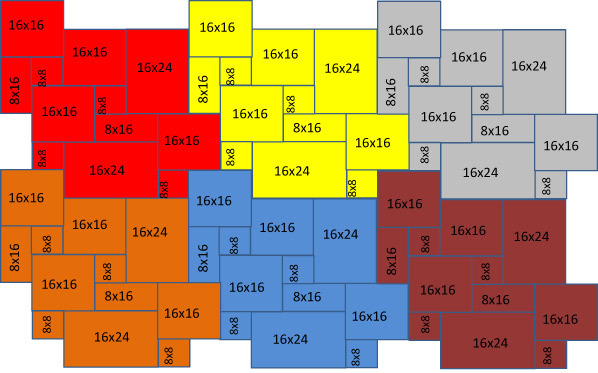 Colors in each tile will vary with mottling and veins or bands of contrasting color throughout the stone. Each stone has unique character and style, although stones quarried from the same area will have enough overall similarity to create a beautiful floor. Silver – light ivory tiles with a hint of gray that creates a silvered appearance. 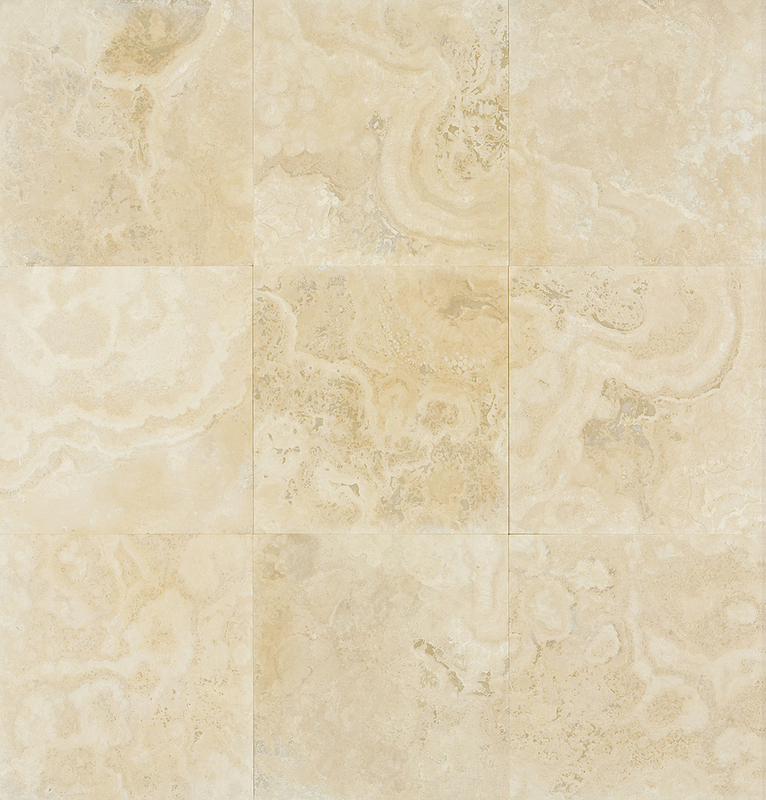 Polished – The travertine is smoothed and polished to a shiny, reflective surface similar to marble. This finish is most common in commercial applications. Honed – A honed finish is flat and satiny smooth with a low-shine matte finish. Honed travertine is the most popular choice for home use. Saw Cut – A flat, very matte finish with no honing or polish. No further finishing after being cut with the wet saw. Tumbled – Tumbled travertine is the most natural finish, resulting in a highly textured finish with no shine and edges that are rounded with a worn appearance that resembles ancient stone. 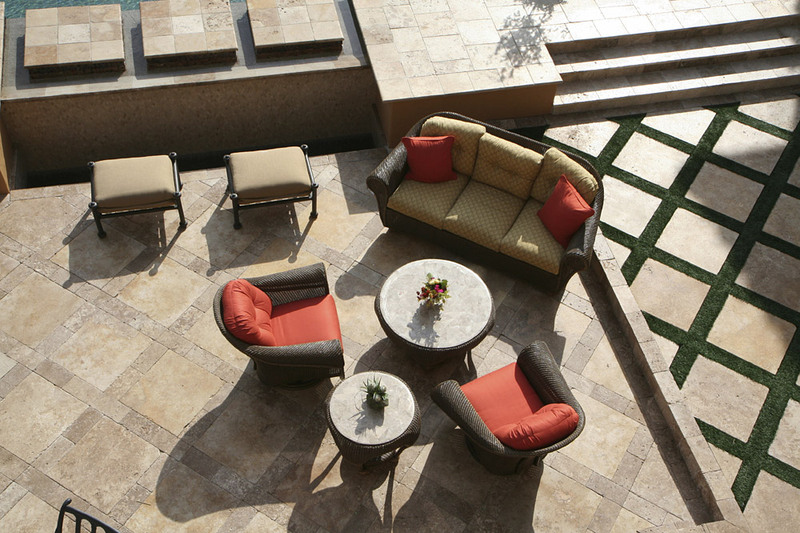 Tumbled travertine is most often found in outdoor installations. 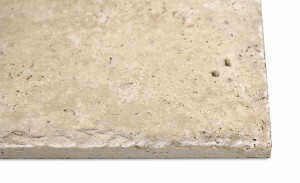 Unfilled – Travertine in its naturally porous state with naturally occurring holes. Filled – Most commonly, the porous holes in travertine are filled with a mixture of a hardener like cement and dust byproducts from the cutting and honing process for a perfect color match. 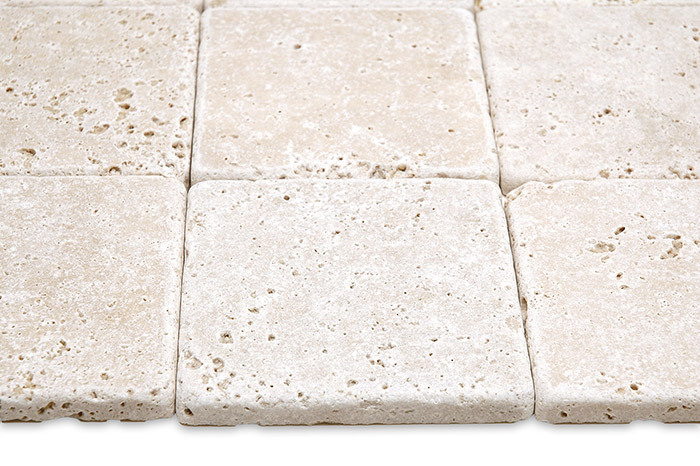 Standard travertine tile thicknesses are 3/8″, 1/2″, 5/8″ for tiles and 1 1/4″ for pavers the recommended thickness varies depending on the type of travertine and the intended purpose. 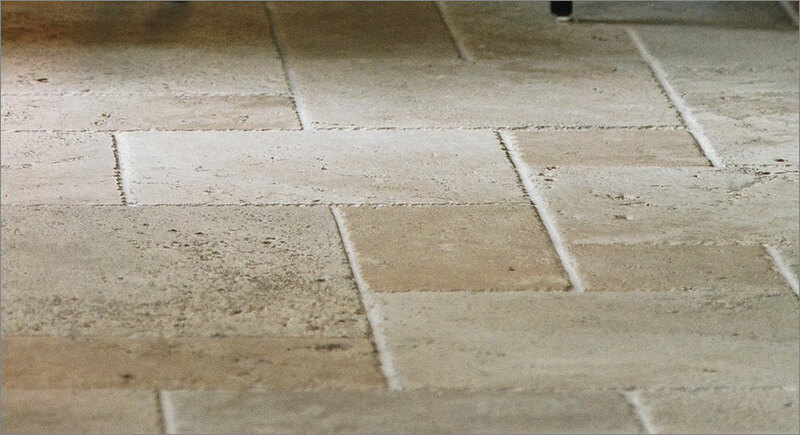 Custom thickness can be cut to exact measurements, bearing in mind that the thinner travertine is cut, the more its tensile strength diminishes. Travertine comes in many different sizes ranging from small pieces suitable for mosaic tiles to large-scale tiles suitable for installation in commercial building lobbies. Since travertine is a natural stone and color depends on the influences of local nature and minerals, not every color will be available in every size. It is more difficult to mine large, consistent pieces from some areas. 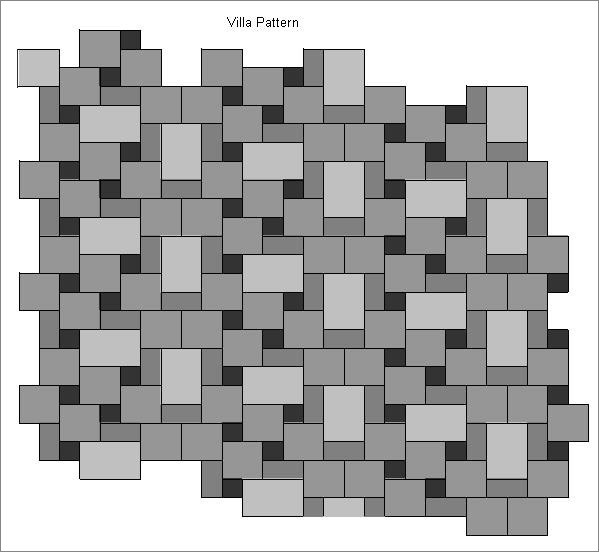 Patterns are mixes of different sized tiles designed to be used together. 1 pcs 16″x24″, 2 pcs 16″x16″, 1 pcs 8″x16″, 2 pcs 8″x8″. 2 pcs 16″x24″, 6 pcs 16″x16″, 4 pcs 8″x16″, 4 pcs 8″x8″. Chiseled Edge – Natural stone with rustic chiseling around the edges. 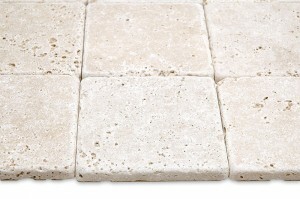 Travertine can be hand or machine chiseled. Machine chiseling is most common because it is less expensive and very consistent. Hand chiseled cuts are more random in size and placement. Tumbled Edge – Tumbling travertine produces a rough, textured finish with rounded corners for a naturally aged appearance. Straight Edge – Sharp 90° corners and edges. Chamfered, eased edge, or beveled – A 90° edge that has been eased by angling tiny portion of the edge to make two 45° angles that fit together. Pillowed Edge – Pillowed edge refers to a rounded bullnose edge all around the tile. 2 Did you find this article helpful? I’m considering having a kitchen backsplash of the noche subway tiles with a mosaic of scabos tile behind my cooktop. Will these color complement each other? Thanks! HI, IM A LANDSCAPE CONTRACTOR LOOKING TO INSTALL OVER AN EXISTING CONCRETE POOL DECK. CAN IT BE DONE WITHOUT REMOVING ALL THE CONCRETE? HOW THIN CAN IT BE INSTALLED AS A PAVER SO THE GRADES AND STEPS DO NOT CHANGE TO DRAMATICALLY? THANK YOU. I am installing 6 x 6 unfilled travertine on the floor of a small bathroom. I want to keep the natural look of the holes in the tiles and was wondering if there is some type of clear filler that I could use to fill the voids. I’m not having much luck on my research as of yet. Any advice is much appreciated. Thank You. Unfortunately, I haven’t heard of any clear filler products on the market. The filler you are referring to is usually just grout and I’ve never seen a clear grout being used in an installation. So basically, you have two choices: leave the holes unfilled and use a penetrating sealer to seal the tiles OR settle with a grout color that complements the tile color and then seal the tiles. Hope that helps make the decision a bit easier! Have a 4ft x 4ftTraverine coffee table with a mattte finish. Disappointed. Can I convert the finish to a a polish finish from products from lilke Home Depot or do you recommend a process? Have a travertine cofffee table 4ft by 4th with a dull matte finish! Dissappointed!! Can I convert the finish to a polished (like marble) finish with products from like Home Depot? What do you recommend a process? We will be in installing travertine tiles in a 1500 sq ft area that also has a small powder room. My first choice is to use 24×24 tiles instead of 18×18 because we prefer the least amount of grout lines possible and like the grander look of the larger tiles. Is there any reasons NOT to use the larger tiles and will they look appropriate for the powder room?